The Christian life is a journey through hills and valleys, ups and downs, highs and lows, joy and suffering. Heaven is a place of everlasting joy and hell is a place of never ending suffering. While we are still here on earth, we can expect joy and sorrow, laughter and tears, gain and loss. This is especially true when we think about our families. Thanksgiving is coming up this week, in case you missed it because of the Christmas decorations. Family usually gathers together for the holiday and some of you can’t wait to see someone special while others are dreading spending a couple of days with that uncle or parent that just never seems to be satisfied. The same people who bring us the greatest joy can also bring us the deepest pain. As the long-await, much anticipated arrival of the promised son, Isaac finally came, his parents Abraham and Sarah experienced joy and laughter but also pain and tears. 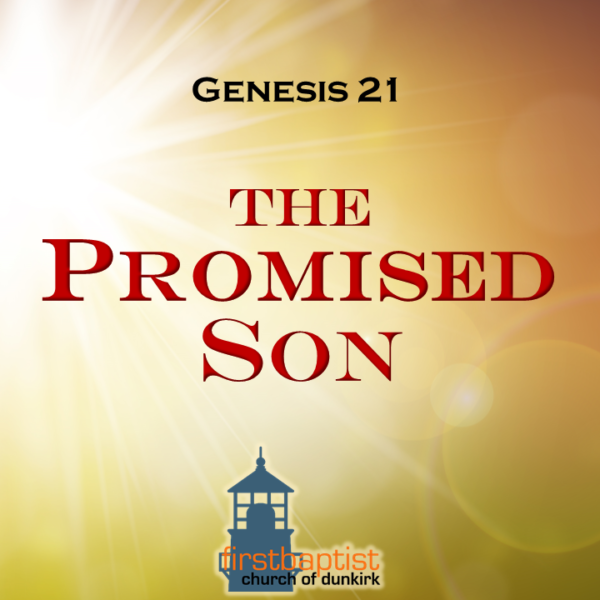 Let’s see what God has for us in Genesis chapter 21. Abraham and Sarah waited for their promised son, just as all people waited for the promised Son of God who came to bring redemption and peace to God’s creation. How do you respond when God says wait? Are you still counting on your good deeds to get to heaven? Or have you accepted that you are as good as dead, and that new life only comes from the Holy Spirit jump starting your heart? Ephesians 2 tells us that we are all born dead in our sins and only by trusting in the sacrifice of Jesus Christ on the cross can we be forgiven and reconciled or reunited to God. We are saved by God’s amazing grace or unearned favor.